In the wake of the financial meltdown in 2008, there were many who claimed it had been inevitable, that “no one saw it coming,” and that subprime borrowers were to blame. This accessible, thoroughly researched book is Jennifer Taub’s response to such unfounded claims. Drawing on wide-ranging experience as a corporate lawyer, investment firm counsel, and scholar of business law and financial market regulation, Taub chronicles how government officials helped bankers inflate the toxic mortgage backed housing bubble, then after the bubble burst ignored the plight of millions of homeowners suddenly facing foreclosure. Focusing new light on the similarities between the Savings and Loan debacle of the 1980s and the Financial Crisis in 2008, Taub reveals that in both cases the same reckless banks, operating under different names, failed again, while the same lax regulators overlooked fraud and abuse. Furthermore, in 2014, as the legal problems plaguing JPMorgan Chase demonstrate, the situation is essentially unchanged. The author asserts that the 2008 Crisis was not just similar to the S&L scandal, it was a severe relapse of the same underlying disease. And despite modest regulatory reforms, the disease remains uncured: top banks remain too big to manage, too big to regulate, and too big to fail. This casebook endeavors to provide a theoretical and policy framework for systematically examining the principal federal statutes that prosecutors regularly invoke in corporate and white collar crime cases. In addition to relying on reported judicial decisions as vehicles for discussion, the book uses problems, case studies, and other similar materials to illustrate the context within which the issues are framed. The sixth edition includes landmark decisions from the U.S. Supreme Court and federal appellate courts through 2016. New judicial decisions include United States v. Newman (Insider Trading); Yates v. United States (Sarbanes-Oxley); McDonnell v. United States (Bribery of Public Officials); and RJR v. European Commission (RICO). It is with great honor and trepidation that I endeavor to carry forward Kathleen Brickey’s work, beginning with this sixth edition. Brickey was a pioneer in the field of corporate and white collar criminal law. Beginning in 1984 with her multi-volume treatise “Corporate Criminal Liability,” she cleared a path for many scholars to follow. One of her most generous contributions is this casebook. 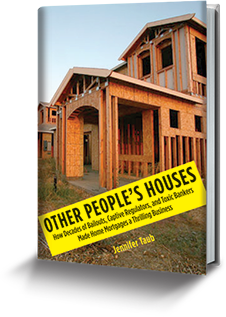 Jennifer Taub is the author of Other People’s Houses: How Decades of Bailouts, Captive Regulators and Toxic Bankers Made Home Mortgages a Thrilling Business. Formerly an Associate General Counsel at Fidelity Investments, she is a leading expert on the Financial Crisis of 2008, and is a frequent commentator on corporate governance and financial reform matters. 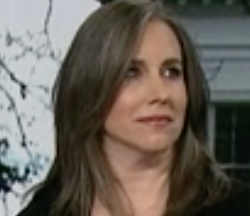 Taub is a graduate of Harvard Law School and Yale College and an associate professor at Vermont Law School, where she teaches Contracts, Corporations, Securities Regulation, and White Collar Crime. She resides in Northampton, Massachusetts. Do the conditions that caused the financial crisis persist? Could this happen again? Unfortunately, yes. In 2009 Fed Chairman Ben Bernanke defended the multi-trillion dollar bailouts, explaining “it wasn’t to help the big firms that we intervened…when the elephant falls down, all the grass gets crushed as well.” Today, the elephants are larger than ever and the grass is still crushed. The top banks are bigger and still borrow excessively in the shortterm and overnight markets leaving them vulnerable to runs. But, let’s be clear. For most Americans, it’s not a question of when the next crisis will hit, but when this one will end. Why another book about the financial crisis? What’s new here? I wrote Other People’s Houses because I wanted to tell the story of the crisis from the perspective of homeowners. Many books about the crisis speak in broad concepts or they dramatize the crisis exclusively from the vantage point of bank executives and high-level government officials. Homeowners that are included can appear randomly selected, like stock characters. As a fresh approach, the central narrative thread of Other People’s Houses is the Nobelman v. American Savings Bank decision. This Supreme Court case still prevents families from saving their homes through bankruptcy. My book uncovers the back stories of the associated homeowners, bankers and regulators and traces them forward from the Savings and Loan debacle, through the toxic-mortgagebacked financial crisis, to the JPMorgan Chase $6 billion London Whale trading losses and associated legal troubles. University of Connecticut School of Law, co-founder of the Baseline Scenario blog, and coauthor of 13 Bankers: The Wall Street Takeover and the Next Financial Meltdown and White House Burning: Our National Debt and Why it Matters to You.